As I was walking off the beach after this mornings Sunrise I was drawn to the sand dunes .. I can never go past a 'Bunny Tail' .. They were sparkling with the morning dew and the light from the sun .. Early morning,I've just had a peep at 365 and you've started my day off beautifully. Thank you . Huge fav. The sunlight is an absolute delight. 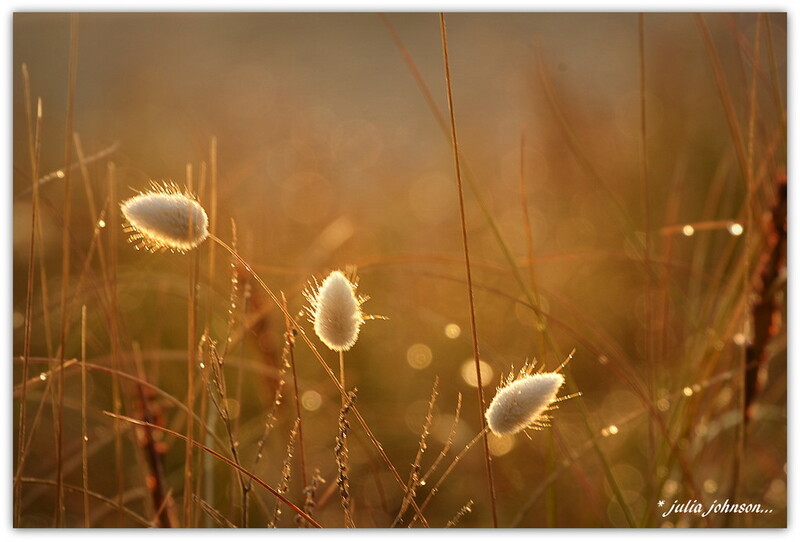 Beautiful capture in the sunrise with the dewdrops sparkling in the sun ! Oh they pop off the page, they are beautiful. Seriously love this. Lighting, lines bokeh... yeah... love! Fave, such beauty! Still early but the best time if the day obviously! fabulous, I love the light. fav. Instant fave for me Julz. Gorgeous lighting and lovely composition!